The Meraki MA-ANT-25 patch antenna is an 8/6.5 dBi, 2x2 MIMO, dual-band 2.4/5GHz antenna providing client coverage over focused areas. It is designed for use with Meraki APs with N-type connectors. Patch antenna provides 60/75-degree half-power beamwidth coverage. 2x2 MIMO design for use on 2.4GHz and 5GHz radios. 8 dBi gain at 2.4GHz, 6.5 dBi gain at 5Ghz. Integrated cables with N-type connectors attach directly to Meraki outdoor APs. -40C to +70C environmental temperature rating. 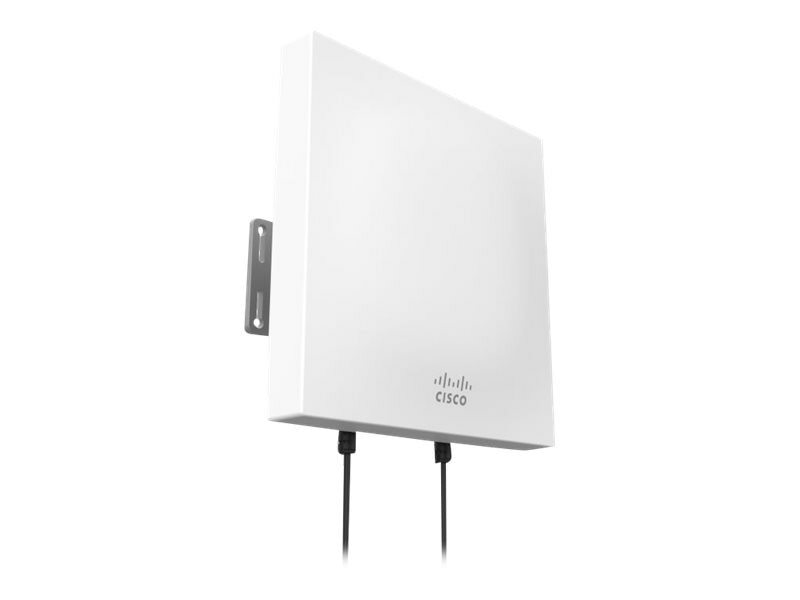 Compatible with Cisco Meraki MR62, MR66, MR72 Cloud-Managed 802.11ac Outdoor AP.